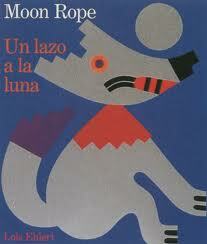 Summary: Moon Rope is a Peruvian tale which explains why Mole avoids other creatures, preferring his solitary tunnel. Fox persuades poor Mole to climb up to the moon with him. 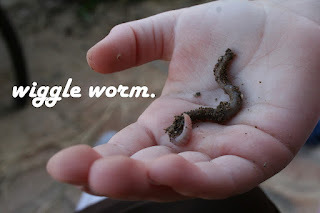 "There are big worms up there," said Fox. "Huge. How could Mole not listen to his growling stomach? He'd go. Mole and Fox braid a long rope out of grass. With the help of the birds, they hitch the rope to the tip of a crescent moon. Fox climbs up quickly, paw over paw. Mole nervously keeps glancing back to the earth. When his claws slip he falls with a resounding ploomph! The animals jeer and taunt him. 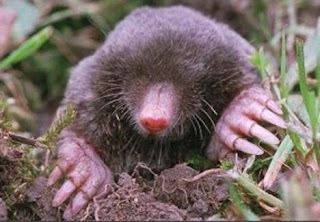 Upset and embarrassed, Mole runs away and digs a deep tunnel. The first team to return 'intact' wins!